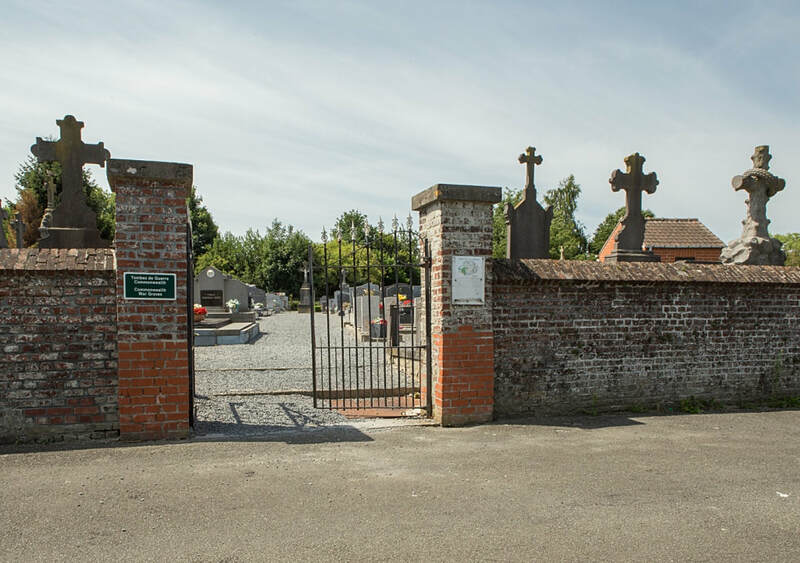 The village of Guignies is located south-west of Tournai on the N508. From the E42 motorway turn off at junction 35 and onto the N7 direction Tournai. Follow the N7 and take the third turning on the right called rue de la Pannerie. Follow along this road through the village of Froidmont and cross over the junction with the N508. At the village of Taintignies turn left into rue de l'Eglise and follow this road to Guignies. 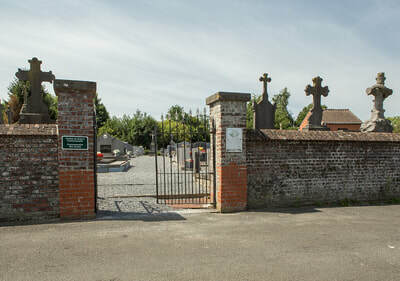 Go through the village towards Wez-Velvain and the cemetery is on the left. 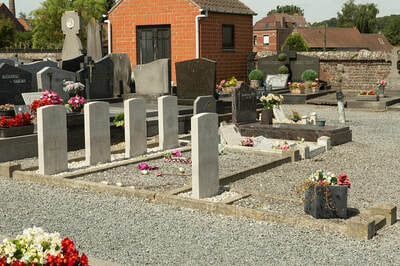 The graves are located on the right of the cemetery near the entrance. Guignies Communal Cemetery contains five Commonwealth burials of the First World War, all dating from October 1918 and the Advance to Victory. 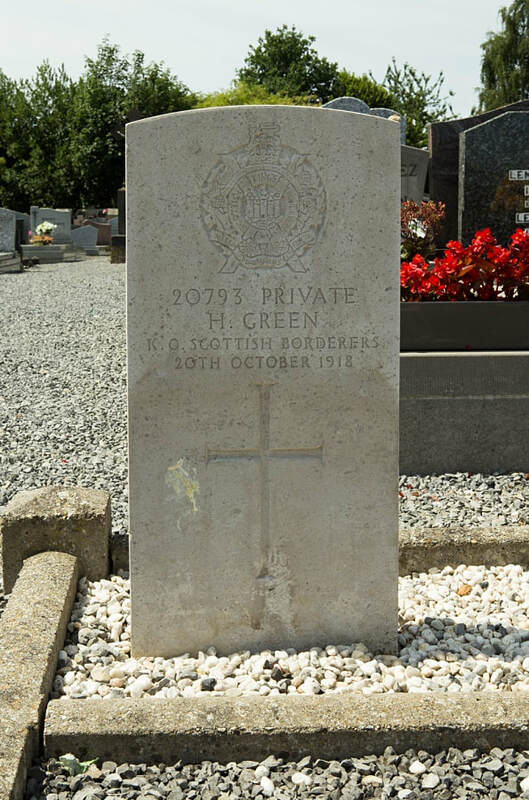 20793 Private H. Green, 7th/8th Bn. King's Own Scottish Borderers, died 20th October 1918. 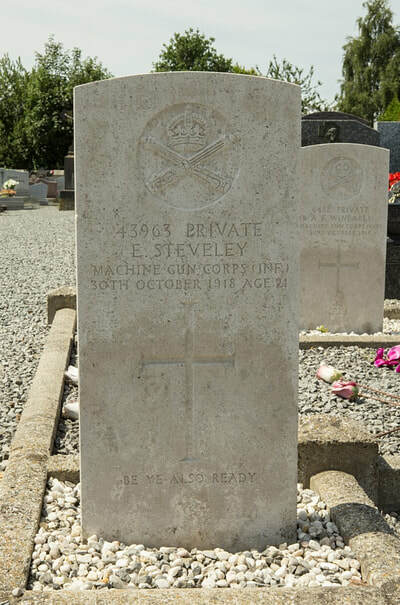 43963 Private Ernest Steveley, 15th Bn. 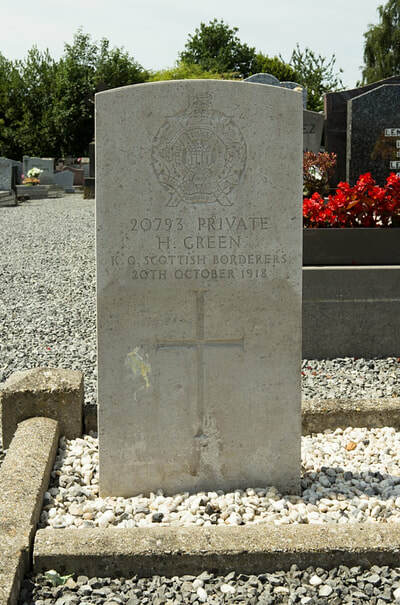 Machine Gun Corps (Infantry), died 30th October 1918, aged 21. Son of Hugh and Jane Steveley, of Station House, Cullybackey. 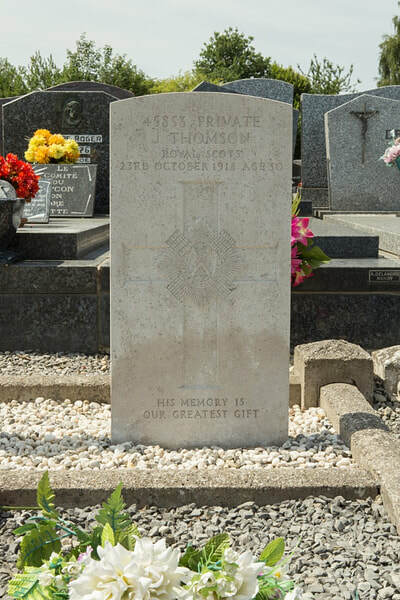 45853 Private James Thomson, 1st/9th Bn. Royal Scots, died 23rd October 1918, aged 30. Son of Gavin and Eliz. Thomson, of 25, Cleland St., Glasgow. 351217 Private James Weston, 9th Bn. Royal Scots, died 23rd October 1918, aged 20. 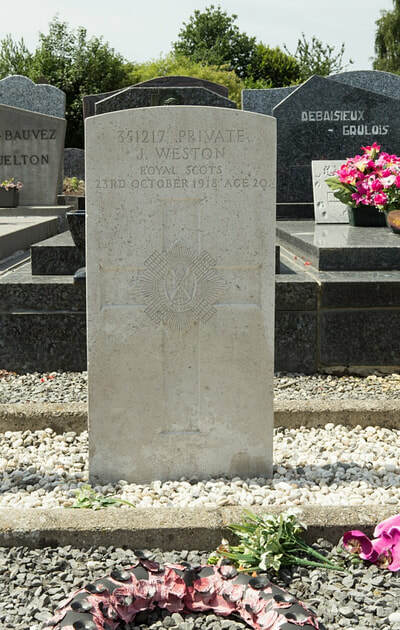 Son of Mr. and Mrs. John Weston, of 10, Craigbrook Place, Blackhall, Edinburgh. 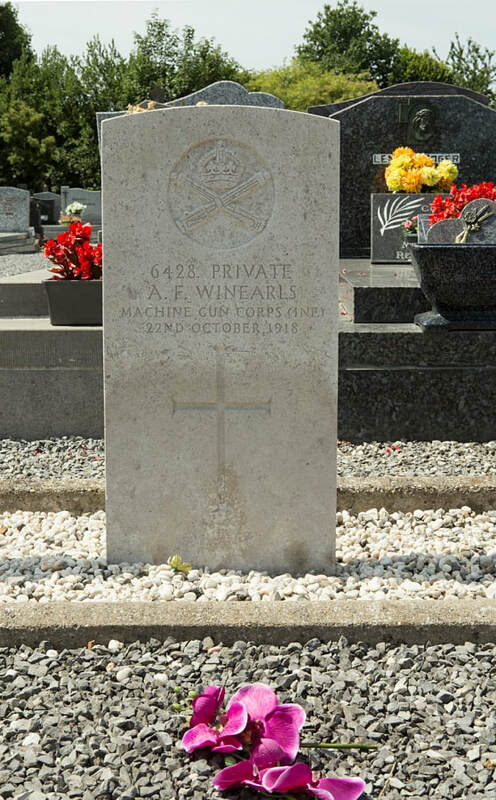 6428 Private A. F. Winerals, 15th Bn. Machine Gun Corps (infantry), died 22nd October 1918.